Mark Williams likes to build things. He has been a developer and a community manager and a number of other things (including sound engineer and producer in developing radio plays that were presented live). Mark ran the community program at a large technology company whose name involves fruit. He’s also run community for a non-profit called TechSoup. 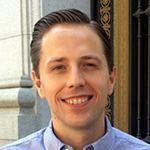 Mark is currently running marketing and building community for kaizenOps.io – a small intrapreneur startup inside CA Technologies. [00:00:25] Patrick O’Keefe: Hello. Thank you for listening to Community Signal. On this episode, we’re talking with Mark Williams about community platforms that understand the lifecycle of a member, co-creation, and using Slack for your community. December 7th marks two years of our show. In two years, we have done 97 episodes. Thank you to everyone who has supported the show. Thank you for listening. Thank you to our subscribers and Patreon supporters. Thank you to my producer, Karn Broad, and our sponsors, The Social Element, Higher Logic, the sponsor of this episode, and Open Social. Without all of these people and organizations, there wouldn’t be a Community Signal. We’re three episodes away from episode number 100. I want to turn the mic over to you. After 100 episodes, I would love to hear how the program has helped you. Maybe it’s a general feeling, a specific lesson, a favorite moment. It would be great to hear your voice. You can submit this in one of two ways. 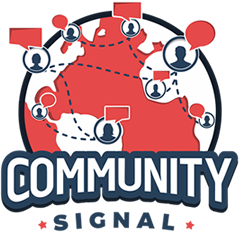 You can record yourself on your computer, or your cellphone, or some other microphone and email a link to me via communitysignal.com/contact. That’s communitysignal.com/contact. Or you can call area code (252) 558-0130, country code one, if you’re outside the US, and leave me a voicemail. If we receive at least a few entries we’ll include them in the 100th episode. I would love for you to be a part of it. I mentioned our Patreon supporters earlier. If you’d like to become one, please visit communitysignal.com/innercircle. Thank you to Rachel Medanic, Carol Benovic-Bradley, and Serena Snoad for their long-term support of the show on Patreon. Mark Williams likes to build things. He has been a developer, and a community manager, and a number of other things, including sound engineer and producer in developing a radio place that we’re presented by. Mark ran the community program at a large technology company whose name involves fruit. He’s also run community for a nonprofit called TechSoup. Mark is currently running marketing in building community for kaizenOps.io, a small intrapreneur startup inside CA technologies. Mark, welcome to the program. [00:02:18] Mark Williams: Thanks for having me. I’ve been listening for a while and first time calling. [00:02:22] Patrick O’Keefe: Awesome. We just talked about, before hitting the record button, I’ve definitely been familiar with you for several years. We have a lot of mutual friends, LinkedIn connections, similar circles, but someone that I don’t know if I’ve spoken to directly or not. It’s really great to have the opportunity to talk with you. [00:02:39] Mark Williams: I’m really excited to be here. [00:02:40] Patrick O’Keefe: Before the show, we talked a bit about the disappointing aspects of community platforms in 2017, and actually moving closely to 2018 now. Your biggest complaint is about managing the life cycle of a community. How should platforms step up to a drastic community life cycle? [00:03:01] Mark Williams: Yes. I was thinking about this since we’ve talked earlier. Life happens, and a lot of the software out there is set in a specific date and time. I mentioned it in a previous interview but this idea of, this person is a moderator or an admin or whatever now, and has been forever in the past. If somebody finds that person’s first post and it’s garbage and it’s terrible, they don’t know that that was their first post and they were just the new person there that nobody ever knew. That’s one big issue, but the other one, and it’s the one that I really have struggled with lately in my previous role at TechSoup, we were trying to combine forums, because they were slowing down, there wasn’t content in all of those sub-areas. We wanted to combine them, and there was no way to do that. We were shopping for a new platform. I went around and it was surprising how few forum software can do that where you can say, “This area and this area need to combine now, because the party is not happening over there or over here, but if we put them together maybe it will happen.” It was surprising how difficult that was. I’m not going to name names, but a number of the current ones that are hot out there could not do that, what I thought was a very simple thing. [00:04:31] Mark Williams: Yes, I don’t know what the limitations were. One of them was like, “Yes, if you open a service to give, we’ll get it to the senior rep and they can take you offline for an hour and make a bunch of database mergers.” I’m like, “That’s your solution? That’s just terrible.” I was at Jive, on Jive at a previous and they had to merge but then when you merged it, one of them died. You had a 404 error. Then we had to put a bunch of stuff in the– They may have fixed this. That was on an old version of Jive, I don’t want to slam them. It was just like, “Merge them together, and then the URLs all work.” It’s really difficult to find. That’s just something that if you’re on the platform long enough, you’re going to need to make some changes. It’s just really difficult, it seems like. [00:05:17] Patrick O’Keefe: The earlier point you made, I think it’s about recognizing the place of the person at the time they made the post. That person may be a moderator now, and they may have 3,000 posts, reputation, if you have reputation, whatever it is. At the time they made that post, they were in a different place. You’re right, it’s something that thinking about all the community platforms, obviously a lot of forums have, or communities have a post count, and people obviously game and post short posts, or whatever. It conveys a sense of authority that when you look at that old post again, it just says they have 5,000 posts now. It doesn’t really recognize where they were in– The industry term people would say was the participation ladder, where they were in the ladder. For members, it was where they were and their life cycle and process as a member. [00:06:05] Mark Williams: The flip side of that is the person is no longer a moderator. I have yet to find a good way to say, they were a moderator when they wrote that post, and it’s official at that time. Now, they are not. In my experience, you end up having to basically create a new user, shut the old admin user down, or moderator user, and start over if you still want to participate, because you want that old post to have that level that came with it, that that person was, but now you don’t. It’s an interesting problem. Or connect all the contacts associated with that, so the private message link, or the DMs, or whatever it is. It’ll still go to that person who has left the company and it’ll be lost. That’s why you have to recreate that, because there’s no good way to transfer the ownership or however you want to look at it, but transfer the authority that was made when that post was current. [00:07:18] Mark Williams: That’s exactly right. I think it’d be really interesting if a platform took this on and when that post was taken, they’d take a snapshot of the user, so those are associated and you can still track where the user is currently. When they posted this, they were in this kind of thing or whatever that is. They were an admin. They’ve just gotten here. Wherever on that life cycle they are, because it is a life cycle, right? Just, how do you do that? It’s a data problem. I’m a developer, so I understand it’s a very complex database problem, but it seems like something we can solve as an industry. Nobody has done it yet that I know of. I’d love to be wrong. Somebody write in, tell me I’m wrong. [00:07:58] Patrick O’Keefe: Let’s pause for a moment and talk about our great sponsor, Open Social. Co-creation is another area where you feel community platforms are falling short. That’s an area where I really haven’t spent much time. I haven’t spent much time in co-creation. You haven’t found a platform that allows a brand and its community to co-create well. What’s could they be doing better to facilitate that interaction? [00:08:49] Mark Williams: Yes, and this is an interesting one, because I think it’s more in my previous role, which was at a large company where you have this idea of, you want to control your message somewhat, but you want your community to participate as well, and you want to work together. In what I’ve seen, it’s either like Lithium’s platform has the Tribal Knowledge Base, but it’s very– You either can write something or you can’t. At least the last version I’ve looked at. Jive’s model is similar. Discourse actually has a slightly better version of this, but it’s just if you’re a user, do you have permission to write something? Do you have permission to suggest changes? Do you have permission to approve? That whole workflow, which is a knowledge base workflow, but most knowledge bases are very internally focused. A lot of the communities I work with are communities of practice at the end of the day. Either communities of support or of practice, and you want to create not necessarily just conversations, but documents or other things, but you want to have some control over that. I think that’s just super interesting, how do you make that work with workflow that works for everybody? Again, difficult. I’m not saying these are easy problems to solve, I just wish they had been solved because they would have saved me headaches. [00:10:08] Patrick O’Keefe: It sounds like it’s somewhere between your average everyday forum platform and a wiki. Is that where [chuckles] the sweet spot is, or is that off point? 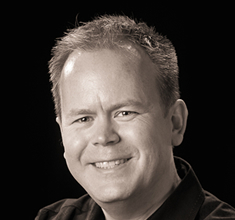 [00:10:18] Mark Williams:: I think it’s actually between a wiki and a knowledge base. It’s like the true idea behind the wiki, the wiki wiki. Everybody participates, and Wikipedia is a perfect example of that. Everybody can participate. They’ve got some decent levels and rules, but then you have this knowledge base, most of which have these really fine grain control mechanisms. You don’t have– At least I’ve seen somewhere in between where, let’s say you, as a company, as a brand, you wanted to create a knowledge base, but you wanted to allow your customers to participate in that knowledge base. Maybe make an edit, or suggest something. Actually the best thing that I’ve seen is GitHub. Git is the perfect example of that. I don’t know how familiar you are with Git, but you can make recommendations to change code, or in some cases, documentation. There’s workflows and it’s really cool, but it’s super geeky. To use Git, it’s super geeky. Could we express that in some way that would be a good user experience for the new user that that comes in, or somebody that’s not super geeky? [00:11:26] Patrick O’Keefe:: When you joined the kaizenOps.io, which was just three months ago, so fairly recently, you were hired as a community manager to focus on building a community, but now you’re doing more marketing work, and community has been deprioritized. Why is that? [00:11:39] Mark Williams:: It’s an interesting situation, because kaizenOps is part of an intrapreneurial program for CA Technologies. CA Technologies has been around for 40 plus years. They started on main frames. They started this entrepreneurial program to try new things. The team that I’m on, kaizenOps, are focused on this one very small niche market of DevOps which is called cyber liability engineers. In their market research they determined there was no place where cyber liability engineers hung out. From a marketing perspective, that makes it difficult to market to them. What they wanted to do was create that. They were like, “Okay, we’ll create a library, it’s going to be really awesome, we’ll do a wiki.” So they hired me — I didn’t know all this coming in, maybe that was my bad for not teasing that out a little bit more. Because what a lot of companies, I think, don’t realize, is your community is a product, or it should be. It should be thought of as a product. It’s something that takes a lot of internal input. If there’s technology, there’s process, procedures, there’s legal, there’s all of these things that every other product needs to go through. I think they just didn’t really understand how much that was. I voted to deprioritize it, because it just wasn’t the right fit right now. [00:13:39] Patrick O’Keefe:: Sticking with your current role, you said you’re working on your plan there as things evolve, but right now it revolves around a blog, the use of Slack and a library. You said the library piece has been a bit of a bugaboo, your word. What’s the trouble with the library piece, what is that? [00:13:55] Mark Williams:: That was the idea they had when I came in, was to build a library, and I was like, “A library–” This was a wiki style library was their idea. A wiki style library is not a community. People can write to me about Wikipedia, but I would argue that’s not necessarily community, either. You need a community that feeds that library. It was my opinion. The way I approached it was, we need a way to get people in, have them talking, and then they will create this library with us. Call back to our previous two conversations, a couple topics ago. The library is trying to figure out what the technologies of the library should be. Because they are developers, maybe Git is the right choice, but some of them may not be, so maybe a wiki style. Part of it is, I have no community members to ask, and that’s really probably where we’re going to end up. We’re going to try and build this community Slack because that’s where they’re comfortable, and then say, “Okay, we want to actually build some longer term greenfield kinds of things. How would you guys like to work?” And see how that goes?” Right now, all of this has been tabled so it’s not even on my mind, but that was the conversation. [00:15:06] Patrick O’Keefe: Do you like Slack as a community platform? As someone who’s been in this industry for a long time and I’ve been in for a long time, as well. It’s closer to a chat room, obviously, than the sort of community platforms that might be more common. There’s a lot of value there, but there’s also a lot of challenges on how people can be present and the attention that Slack demands. What’s your general thought on Slack as community platform? [00:15:28] Mark Williams: I don’t want to be down on Slack but I don’t like Slack. Mostly for those reasons. Just personally, I find it difficult, especially since now I’m on eight or nine Slack channels. The attention issue is important, and the loss of topic level, so making sure something gets answered and it doesn’t get lost. I think it’s a real challenge. I wouldn’t have chosen it, except that the market that I’m looking at, this DevOps community, they live there all day long. They love it, they live there, and I’m a believer in go where your community is. To your point earlier with Facebook like trying to pull somebody off of Facebook is going to be a challenge for you. That’s gonna be a big challenge. It’s possible that we’ll start and Slack and try and migrate them off if we find these kinds of challenges that I’m concerned about. Getting questions answered if people have questions, because it’s community practice which involves some support. Making sure people get what they need out of it, I think is going to be a challenge. At the same time, one, it’s easy, Slack is super easy to set up, and two, that’s where they are, that was why we chose to that. Even a mildly different situation, that would not be my first choice. [00:16:41] Patrick O’Keefe: I think that’s fair. Tools have their use cases. I knew Slack, was familiar with it, but I never actually used it actively until I took this job recently, in August, because that’s the internal communications platform that the team uses. They use it in different ways, it’s not meant for all communications. There’s certain communications that go to email, there’s certain communications that work better as a phone call or a weekly catch-up. For the day to day stuff, that kind of short messaging, that’s what they use. I’m in there and I’m learning about it. The attention thing is just such a difficult hurdle coming from the era I came from. These are Yahoo! chat rooms to me when I was a teenager. [laughs] That’s what this– What I think of when I use it as I’m backing yahoo chat and it’s just for work. [00:17:20] Mark Williams: For me, I go back further than you, it goes to IRC for me. It really is. It’s a pretty IRC and that’s not slamming them. They’ve done some really good stuff in there and we use it every day for work, because there’s four of us and for four of us it works really well. I assume, I don’t know how big your team is, but maybe it’s a similar thing. The AOL case– Actually we talked about on the show previously, for listeners, with Rebecca Newton who actually ran that program at AOL and that was a great episode. I recommend you listen to that if you haven’t. What was wrong with the gamification system? [00:18:14] Mark Williams: The gamification system was written by me. It was when I was transitioning more into the community manager role from a developer role. Slashdot was actually really big at that time, and there were a couple of others, but there wasn’t a lot of the gamification stuff around. It was kind of naive and we had to go fast. What it was it was just basically up and down vote on content and it was unlimited votes. We ended up with people ganging up on each other, frankly. If you don’t like Bob, you get your friends to come downvote all Bob’s stuff, regardless of how valuable it is, it’s just because it’s by Bob. [00:19:14] Patrick O’Keefe: Randy Farmer. [00:19:24] Patrick O’Keefe: We just had Randy Farmer on the show actually. For anyone listening I’ll link to that episode in the show notes. It’s funny, because what you mentioned is an early reputation problem. That was common. I remember when people first tried reputation in forums. In my case, I think it was the SitePoint Forums, which is a web development community, and they ran vBulletin. That was probably in early 2000s or something. I don’t know. They added reputation as a feature and it was terrible. [laughs] It was just bad. It didn’t work. I didn’t like it and I had good reputation. Good for making a good post. I didn’t ask for reputation. I think it just happened. What we found was that people were just downvoting stuff from people they didn’t like or they disagreed with, and that wasn’t the point. It just becomes this cliqueish thing that just doesn’t work out for a lot of people. It’s the type of thing that you have to think about, or at least the platform that you’re on have had to think about it a lot to do it well, otherwise it’s just one more exclusive party for certain members. [00:20:37] Mark Williams: Sure. I think the other problem is, and I’m participating in a number community manager forums. My first question is, what’s your goal? Why are you doing it? What is your goal when picking a platform? What is your goal in wanting to build the reputation system? Our goal was to make content more present. Like so we can figure out what was the content, and who are the best players, if you will. What is your goal? Often people just say, “Oh, we’re doing a reputation system because everybody else is doing it.” That’s not a goal. Knowing your goal informs your choices and your decisions around what your system should be, and reputation system should be. [00:21:17] Patrick O’Keefe: That’s a terrible goal. That’s the goal like my mom never said this to me, but the stereotypical T.V. mom of the whatever ’50s, ’60s, ’70s– “Mark walked off a cliff. Would you hop off a cliff, too?” That’s the kind of bad goal that is. It’s interesting, reputation systems are– Speaking of being goal-based. Goals where reputation systems work. I was just thinking about it as we’re talking. There’s always the human element of it, but in that case, it’s speaking to the goal of the community, which for a lot of support communities is to reduce the deflection to other areas, other arenas of support, and if you can get the positive answer in the community, then there’s something demonstratable there that ties the gamification and the business. [00:22:17] Mark Williams: It shows up in places like Stack Overflow, and some of those places where you really do have decent badging, and the badging thing, I think, seems to work better sometimes, but again, I always go back to, “What’s your goal? What is it that you want to accomplish and build your reputation system around? Do you want to surface your best content, and build your reputation around that? Do you want to engage them?” Then there’s your goal. What is your goal? Just taking whatever your platform gives you is not always the best choice. [00:22:49] Patrick O’Keefe: You mentioned GitHub a couple times in our conversation today, and you also tweeted about GitHub’s introduction, just a couple days ago, of team discussions— Threaded conversations within their larger platform, where team members can talk to one another. What caught your eye about that? What stood out? [00:23:04] Mark Williams: If you’re working on an open source product, what often happens is, in the issues, somebody posts an issue, you have this weird place where conversations happen, or if somebody has a support question, they end up in the issues, which is not where they need to belong. Like that’s code problems, that’s things you should fix. It’s always been this weird thing, where if you’re running an open source project– I might be saying open source, but there’s a lot of places where this goes. I’ve always wondered how people solve that, and how you could go about helping open source authors solve this problem. When they came out there was a — “Well, great that’s good.” I haven’t actually talked to any of my friends that are doing open source about it, so I don’t know how they feel about it, because it’s also potentially a burden for them. They are expected to answer these questions, but if you’re building something, you need a place to have those conversations and saying, did somebody go over on the Slack now, or on GitHub– Is my whole thing of bringing it all together. I think it’s a really great thing. I haven’t actually played with it enough to know how good of an implementation it is, but their marketing material looks good. [00:24:15] Patrick O’Keefe: To your point about Slack, is this on some level GitHub seeing a way to increase time on site? Because I think the big way that people have addressed that issue you’re talking about is, it wasn’t conducive for like, “Where do I talk about my issues? Why do we have a 20 comment conversation?” They would send them to– As you said, Slack, probably, most commonly, or maybe they would have a community, or a form that they would send them off site. Now, GitHub has this opportunity, where they can try to increase that time on site, and dig into that market share, that service like Slack especially has with developers for talking about the code, not just writing the code. [00:24:54] Mark Williams: I’m going to hope that that’s not their purpose. I’m going to hope that it was actually around this issue. We need a place to have these conversations that are not in your issues. That may be a bonus. I’m going to go with, that’s not their goal, because again, most of their money comes from VC. There’s a lot of enterprise people that use Slack. It’s also, I assume, in companies internally. I don’t know this, because I haven’t talked to anybody about it. I assume internally people are going to use this to talk about things they’re building. I actually suspect this possibly going to have things like Trello or some of those things that are often attached to software products, software planning situations. [00:25:32] Patrick O’Keefe: If it’s all in one, it works well and, most importantly, you can always turn it on or off. [00:25:38] Mark Williams: Right? I’ll assume. [00:25:39] Patrick O’Keefe: Then, it might be good. [00:25:40] Mark Williams: Yes, and that there’s a situation there where they have a wiki type solution, too. If you’ve got it all there, especially if you’re building an open source product or something where you want all of your stuff right there, it’s pretty awesome. [00:25:53] Patrick O’Keefe: Well, Mark, thank you so much for coming on the show. I really enjoyed talking with you. [00:25:57] Mark Williams: Yes, it was good fun. we should do it again some time. I don’t know if you have return guests, but I’d come back. [00:26:02] Patrick O’Keefe: [laughs] Well, I have. I’ll definitely have you back on. [00:26:05] Mark Williams: All right. [00:26:06] Patrick O’Keefe: We’ve been talking with Mark Williams, community manager at kaizenOps.io. Follow him on Twitter @mdfw. For the transcript from this episode, plus highlights and links that we mentioned, please visit communitysignal.com. Community Signal is produced by Karn Broad. It’s been a great two years. Thank you for being a part of it.